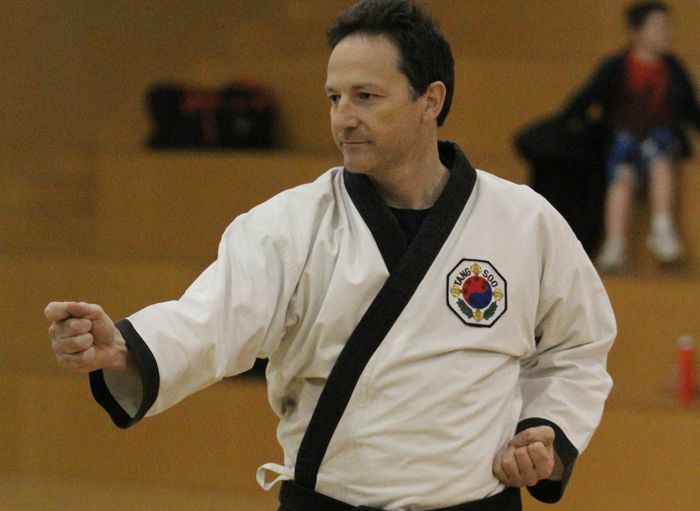 Master Paul Angell is a 4th Dan Black Belt and a senior instructor of the Maroochydore School. Joining in 1999, Master Angell had previously trained at a martial arts school in Sydney and was looking for a similar quality school in Queensland. It wasn’t until eventually moving back to the Sunshine Coast that he found Tang Soo Tao and has been training here for 17 years. Currently teaching Adult Intermediates, Purple and Green Belt levels, Master Angell also teaches Black Belt classes and meditation and is the current President of the Maroochydore School committee. Training in Tang Soo Tao has given Master Angell the opportunity to simultaneously challenge his body and mind in a way that benefits both himself and those who come in contact with him on a daily basis.